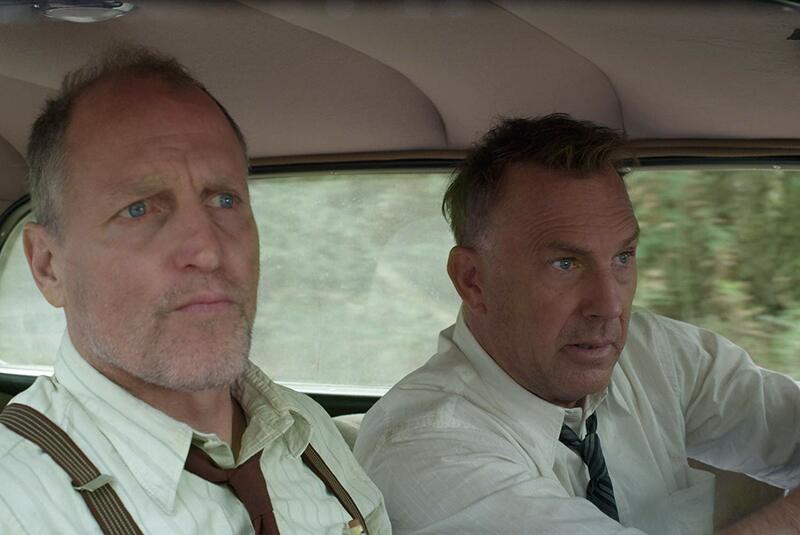 Dipped in vintage storytelling, a bit rough on the edges, but nonetheless confidently carried by its leading gentlemen Woody Harrelson and Kevin Costner, “The Highwaymen” is just a decent take on a modernized western. 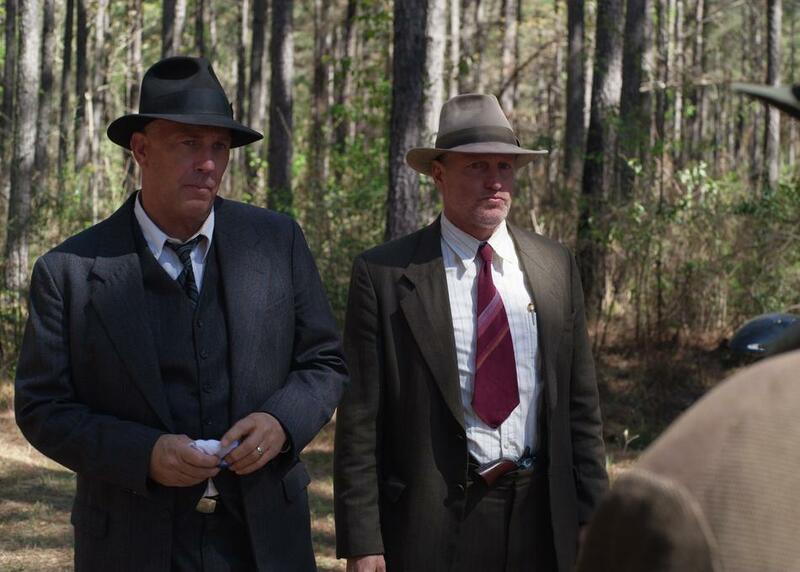 John Lee Hancock’s movie tells the true story of Frank Hamer and Maney Gault – two former Texas rangers, who answered the government’s desperate call to put an end to the killing spree of Bonnie & Clyde – a legendary outlaw couple. It’s hard to find a better representation of the American love for crime than Bonnie & Clyde. While the couple left bodies in several states, people cheered for them, as if the duo became Robin Hoods of the 30s. What sparked this across-state love was them robbing banks – a symbol of wealthy preying on the poor. Glorifying criminals was a thing back then, and it’s not only Bonnie and Clyde that showcase this strange affection. John Dillinger, Baby Face Nelson or Jesse James – these are all names of crooked individuals who got their recognition “tweaked” in the eyes of the public. Times have changed though and it’s why John Fusco’s script of “The Highwaymen” denies a notion that crime can be exciting or romantic. Right from the start, “The Highwaymen” establishes one point a view, which grows roots over the span of two hours, clinging to the view that Bonnie and Clyde were, indeed, only criminals. Fusco’s story is, therefore, a close-up look at two aging Texas rangers, who embarked on a breakneck journey. Thousands of police officers were spread out in the country, gun-wielding and ready to fire at the outlaw escapees, but it was the two gentlemen that were supposed to put an end to this devilish razzmatazz of Bonnie and Clyde. It does sound like a thrilling mix of a road movie and western. That’s, at least, what it probably looked like on paper. Contrary to these expectations, John Lee Hancock’s film is surprisingly ill-paced. There are silly shortcuts (right in the first scene, when the authorities decide to hire Frank Hamer), which trade sentimentalism for credibility. Hancock gives space to Hamer and Gault, lets them develop a cop movie routine, as well as gives plenty of time to tell dragged-out stories about their past. However, their conversations aren’t half as deep as one could expect, because the script of “The Highwaymen” lacks flair that made classic westerns or modern neo-westerns memorable. And it’s not the fault of Harrelson and Costner (I’ll spare a few words about their acting later on too). The cop movie routine can do miracles, even in very recent movies – take “Hell or high water” for an example, where Jeff Bridges and Gil Birmingham teamed up to make a couple impossible to hate. In the case of “The Highwaymen” though, the little action causes this movie to suffer from an uneven proportion of fill-in dialogue and script “meat”. The pursuit isn’t that exciting, the conversations not heart-piercing enough. “The Highwaymen” isn’t a complete let-down though. 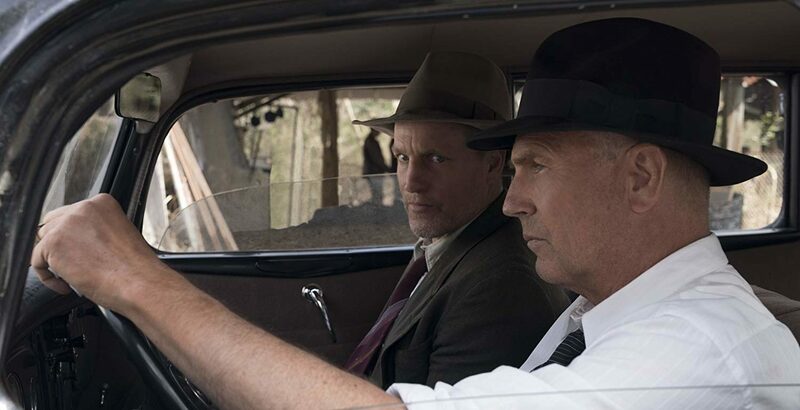 Despite the bumpy road that Harrelson and Costner need to follow, it’s often a scenic route to watch. The cinematographer John Schwartzman (shot “Fifty shades of Grey”, but also “Pearl Harbor” and the reboot of “Jurassic World”) squeezes the last juices from the picturesque horizons and endless asphalt veins. A praiseworthy eye for details marvels too – “The Highwaymen” builds a credible picture of America in 30s, luring into dreadful suburbs of people living out in the country. There is power to the way Hancock’s film is shot, and it’s what seldom masks the impurities of the story. This and the leading duo. 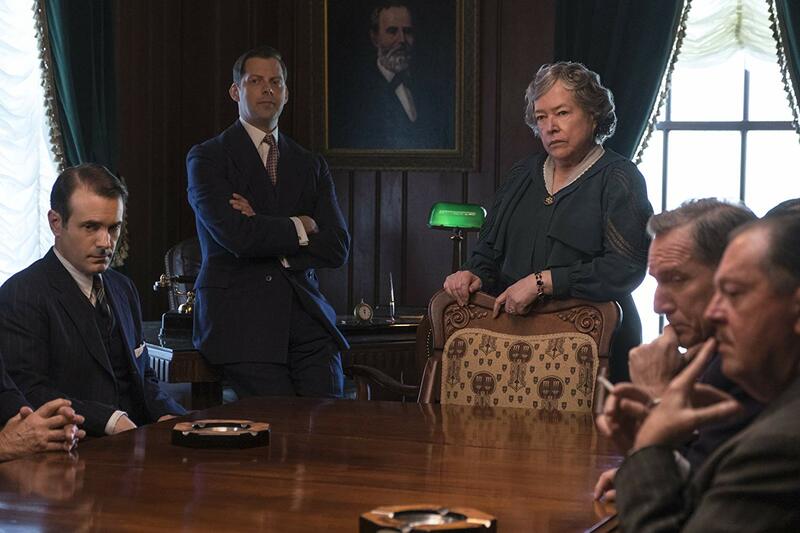 Harrelson and Costner imbue a messy, reportive-style script of John Fusco with a cinematic soul. Costner in particular is a joy to watch – the actor embraces the role of the worn-out loner, whose self-righteousness turns him into an almost-comic-book hero. Hamer’s a Machiavellian cop that sees the end of his journey clear as the Texan sky, and he’s very much dedicated to reaching it. Harrelson, on the other hand, enjoys the reincarnated, back-in-time version of Marty from “True Detective”. A wind-lashed face and a mouth full of cheeky one-liners. It’s the Woody we know, yes, but also the Woody we like. I also liked the concept of focusing entirely on the two rangers. Usually, movies about criminals – like Michael Mann’s “Public Enemies”- often find it hard to balance between condemning these criminals and building them a statue. In “The Highwaymen”, however, the terror is faceless. The appearances of Bonnie and Clyde are brief. It’s a pursuit after ghosts, or, as mentioned by one of the police officers working with Hamer and Gault, superhumans. Indeed, the riders of anarchy, hiding in a dark Ford and leaving corpses everywhere they go, are deprived of their own voice in the story. This approach makes perfect sense though. Hancock doesn’t intend to let these two jeopardize the sympathy that you will develop for the two troupers that track these killers down. “The Highwaymen” isn’t anywhere near the classics of hit-and-run pursuit thrillers or westerns. Neither Kevin Costner nor Woody Harrelson is Billy Kid, and the story dictates that. But despite the fact it often plays an archaic note here-and-there, it’s still plausible and entertaining enough.